The Apple watch has functions that go beyond anybody’s expectations and will be a welcome surprise to those who will get a hand on it. Because of the local backup that it runs, your data is always safe. And even after going the process of reformatting your applications (apps) and unique settings will be restored just the way you had set them prior to any mishaps. 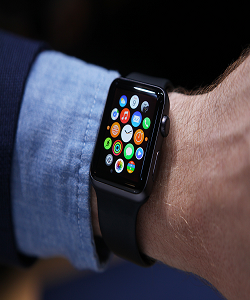 With the use of Bluetooth technology the Apple watch can be utilized as a medical instrument capable of taking readings that are currently done by stand-alone equipment one of which is the blood pressure measuring gadget. With Bluetooth it is now possible through a built in heart rate detector to take your own blood pressure measurements. The default vibration effect you get from the Apple Watch is quite refined and a good match for this futuristic hand piece. Many competitors have gone for a more bullish effect which probably some users may prefer. The sound and haptic settings has an array of options to choose from including getting a higher vibration effect. It is possible with this option to take a picture of the watch display. All you have to do is press the digital crown and the button just below it. The Apple is not compatible with major wireless phone charging equipment standards on offer. 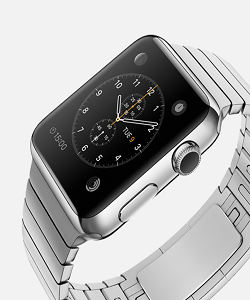 The watch can only be charged by an Apple magnetic inductive charge cable. Siri which can be activated by using voice recognition is a handy tool when trying to walk your way through Apples menu. You can access Siri by holding the crown key down and once you’re in you can make calls, get apps and even dictate messages. This is a most welcome function that comes in handy when you probably might not have immediate access to a power source. In event that your Apple watch gets too low the power reserve mode is automatically activated and shuts down everything except the time. This gives you ample time before total shut down. This basically gives you the ability to transfer calls that you have received or made to your iPhone. This makes a lot of sense especially when you anticipate being on the line for a while. If you like what you’ve read about the Apple watch and you would like to purchase one that’s not going to be possible for the moment because it has not been launched yet. But with all these amazing functions and more it is worth the waiting period that you will have to endure. The user will have ten (10) exceptionally designed screen faces to choose from.